Benjamin didn’t say anything, but emitted such a deeply sonorous silence that I knew at once that he agreed wholeheartedly. They’re like that with their silences, these long-dead Victorian prime ministers. William Gladstone is just the same – last week we had a protracted argument concerning the applicability of etiquette to shellfish, during which he never said a word. And he won the argument. Benjamin neglected to reply – not this time because he was speaking in mime, but because he was inspecting the cucumber sandwiches for specks of mayonnaise, and triumphantly berating my manservant, Sir Launcelot the Brave, every time that he found one. I quite sympathised with the poor fellow – Launcelot, that is. The mythos around him is so impossibly convoluted that the majority of him is now entirely fictional – you can hardly blame a man for forgetting how Benjamin Disraeli likes his sandwiches when only one in ten of his constituent atoms is actually factual, and at least three of the others are incessantly under dispute. So I leave the two of them to battle it out across the tea trolley, and turn instead to you, dear reader, to explain just how it is that I have only been attempting to try to look for a job, instead of actually just going out there and looking. The reason, you see, is the Fug. The Fug is a curious phenomenon that comes along once in a while, often when you have completed some onerous task, taken a well-earned rest after doing so, and then, well, sort of failed to reignite. It’s not inertia or inactivity, it’s just that sort of shuffly state of affairs where you continue to go around getting things done, but with no motivation beyond simply wanting them to be over so that you don’t have to do them any more. It’s a sort of sticky, gloomy grey area between tranquillity and busyness. And it’s held me ensnared for much of the past week. The reason for this is probably due to the state of comparative settledness of which I spoke last Wednesday – having got myself into a nice comfortable position where I no longer had to dash around looking for accommodation, getting used to my courses, and so on, I then proceeded dashingly to do pretty much nothing. The warning signs were probably already there when I felt the need to spend quite as much of that entry as I did talking about biscuits. This isn’t being entirely fair to little ol’ me, of course. There’s nothing wrong with taking some time out to sit around in one’s house, read a few books and do one’s homework. And homesickness and disorientation and all those other annoying aspects which feel like a big deal at the time but aren’t much fun for you (my viewing public) to read about have a part to play as well. But given that I’m spending a whole year marooned out here in a very foreign country, it’s neither the most productive or the most inspiring way to spend my time. The slightly unsettling thing is just how arbitrary it all seems to be. In the usual course of things, I’m quite rational: if there’s something to be excited about I’ll be excited, if there’s something to be upset about I get upset, and the rest of the time I plump for a sort of merry contentedness and make bad puns at every opportunity. But of late, I’m a right slave to my moods. I have Fuggy mopey hours or days, and then just as suddenly the clouds will lift and everything’s shiny again. This happened last on Sunday night, actually after I’d gone to bed. I whiled away the weekend doing just enough of everything to feel competent – did my homework, did a little research for an essay, and spent an age or two glaring at a computer screen dully reading job advertisements, sending off resumes and covering letters here and there where there was no obvious reason not to (the perfect paradigm case of Fug – I’d thrown loads of energy a couple of weeks previously into hunting for jobs left, right and centre, so now I felt pretty much like I’d ticked that box, and was just going through the motions to show willing). It was all pretty dull. And then, lying in bed, I started thinking about — ooh, I can’t even remember now. Kangaroos or kookaburras or poetry slams or James Joyce or just being in Australia, or something, and suddenly I was all a-quiver again, in a nice fun agh I’m in Australia! sort of a way. Thus far since, it’s kept up. On Monday I strode (strode!) down to uni early and sat writing emails and contacting people and generally jabbing my nose back into the world again. I even got a clutch of job applications away. And then today, after my poetics tutorial (which is awesome, incidentally, a real mood-lifter all by itself), I decided that I’d been ignoring all the Brisbane around me a bit, chose a random direction, and walked home a long way around, choosing roads at random to see where they led me. Was it worth it? Of course it was. I saw little red parrots and huge green lizards and a pure white heron standing so still that I almost thought it was a statue, and all kinds of shiny-feathered miniature birdies, and an enormous bug which creeped the bejeebus out of me, and all the ubiquitous flowers and palm trees that you just don’t register mid-Fug – all framed against the gorgeous backdrop of little white clouds floating amid the breathtakingly blue Brisbane sky. I’m not just being hyperbolic there, incidentally – the air actually is cleaner down here in the southern hemisphere, apparently due to a combination of less pollution (good) and a stonking great hole in the ozone layer (not so good). And now, I’m going to do some work on my poetics homework and modernist literature essay and do it really well, and then have a nice earned cup of tea and then …then bloody well think of something else worth doing! Fug, begone. Anyway, I told Benjamin Disraeli all this, and he said it wasn’t really very interesting but I should put it on my blog anyway, and incidentally did I want to come over to Thomas Edison’s with him after luncheon, as they were having a whist drive and needed an extra player. 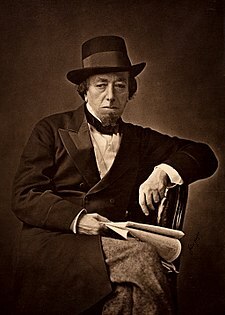 Benjamin Disraeli: "A Conservative government is an organised hypocrisy...what!? Mayonnaise!? The devil you say!"